A saw and track system for accurately cutting pressure vessels up to 60” dia. in preparation for hydrostatic testing and complete fabrication is being introduced by Esco Tool of Holliston, MA. The Esco APS-438 Air Powered Saw and WrapTrack® trolley lets operators rapidly cold cut vessels from 6” to 60” dia. with ±1/16” accuracy to permit better bevels for subsequent welding. Capable of cutting a 24” x 0.5” wall vessel in 40 minutes, the saw is ideal for cutting a vessel cap after hydro- static testing to allow beveling and welding the cap into another vessel. Fully supported to glide smoothly and reduce operator strain, the Esco APS-438 Air Powered Saw mounts rigidly in the WrapTrack® trolley using four “V” grooved stainless steel roll guides. 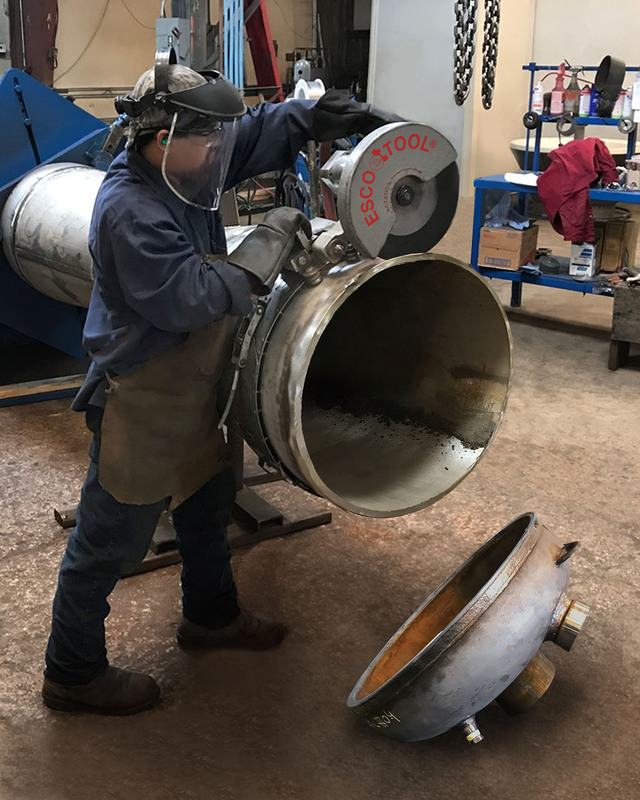 It has a 3 HP pneumatic motor, uses fiberglass reinforced abrasive blades capable of 4-3/4” cuts, and cuts all pipe schedules of P-91, Super Duplex stainless, and other hard materials. The Esco APS-438 Air Powered Saw sells for $5,895.00 and the WrapTrack® is priced from $395.00 up, depending upon circumference.